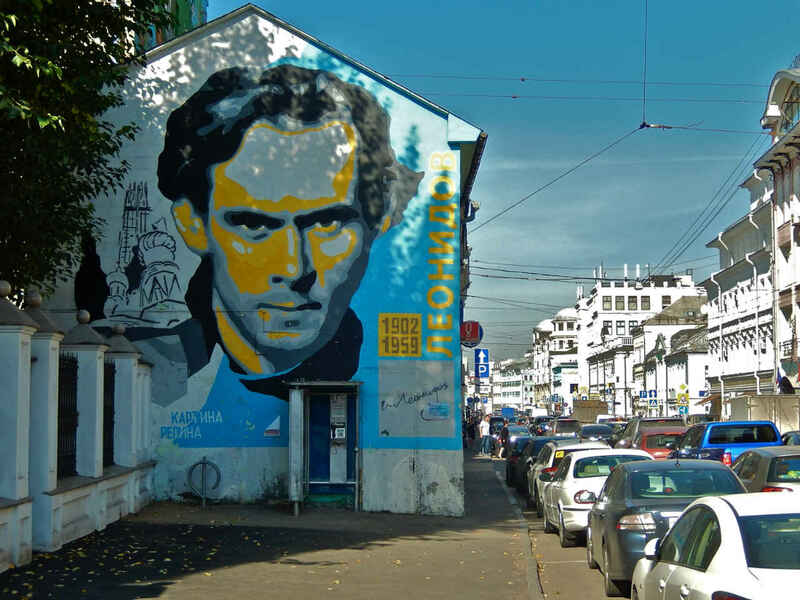 Moscow was graced a few years ago by the appearance of numerous wonderful street murals in a very short time. They all came about thanks to the Heritage project within the Moscow – Best City on Earth campaign. I’ve written about quite a few and there are still many I have not gotten around to photographing or highlighting here. 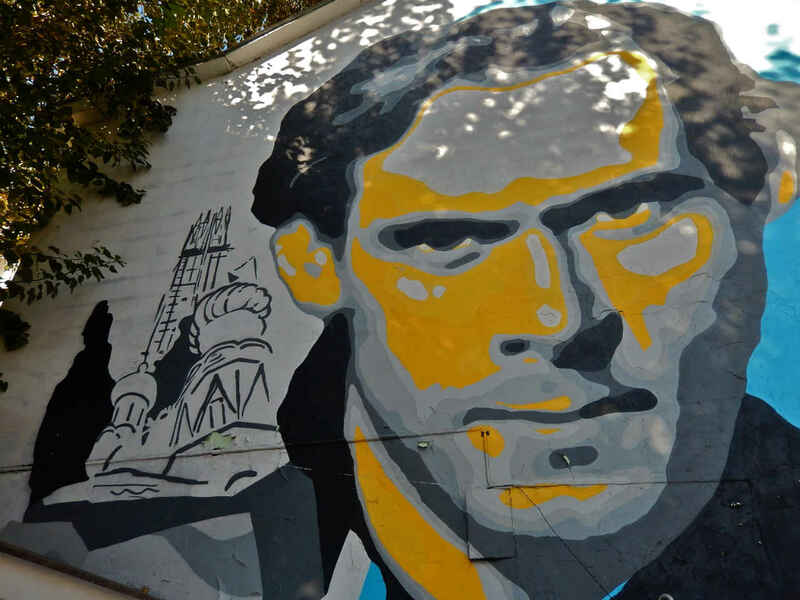 I have yet to see one of these murals that I don’t like. They fit the Moscow style well. 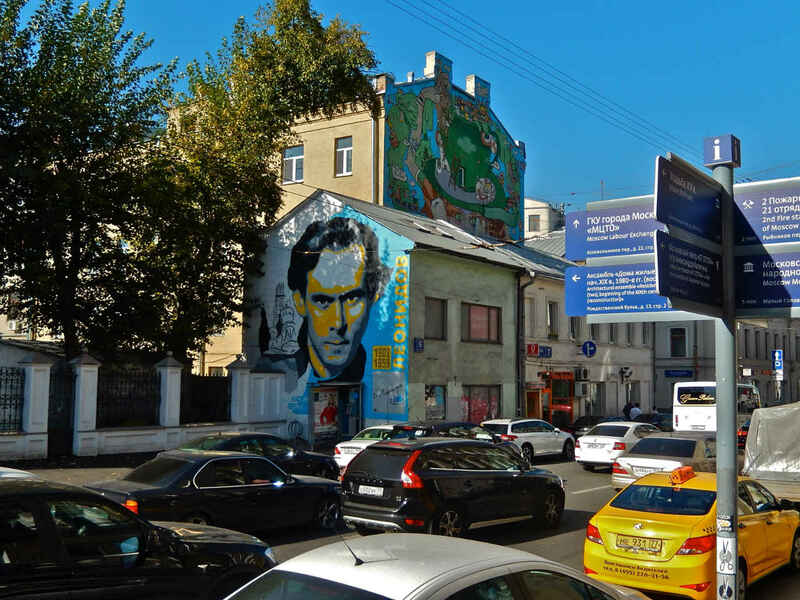 There are lots of “canvases” out there in Moscow, as you can see in this portrait of innovative architect Ivan Leonidov (1902-1959) – flat, open building sidings that are just waiting for someone to come along and spiff them up. In fact, look at the last shot in the block of photos below – there behind the mural of our choice today you see yet another mural, this one a comics-like urban scene. My former neighborhood of Zamoskvorech’e was the site of one of my favorite street murals in all of Moscow, an extremely delicate rendering of a perfectly symmetrical flowering tree. It is not humorous, makes no declarations, has no references (to my knowledge), but is just downright beautiful. On the rare occasion that I think about Zamoskvorech’e these days, I often recall that tree. He was a frequent contributor to, and a member of, the editorial board of Contemporary Architecture magazine. When his work, much of it designed in the Constructivist style, came under attack from Party hacks beginning in 1929 (“Leonidovitis and its Harm” in Art for the Masses magazine), he used the pages of CA to answer his critics. The result was that the magazine was shut down and Leonidov was fired from his teaching job at the architecture institute. Leonidov is one of the Russian architects associated with the “genre,” if you will, of “paper architecture” or “visionary architecture.” That is, many of his projects never made it further than the design table and the paper they were drawn on. In part this was because some of his ideas were ahead of their time and could not yet be realized with the tools then available. But it was also because his work was generally ignored or rejected. You can see some of his designs in a Russian Live Journal post (the pictures of actual buildings here belong to other architects). 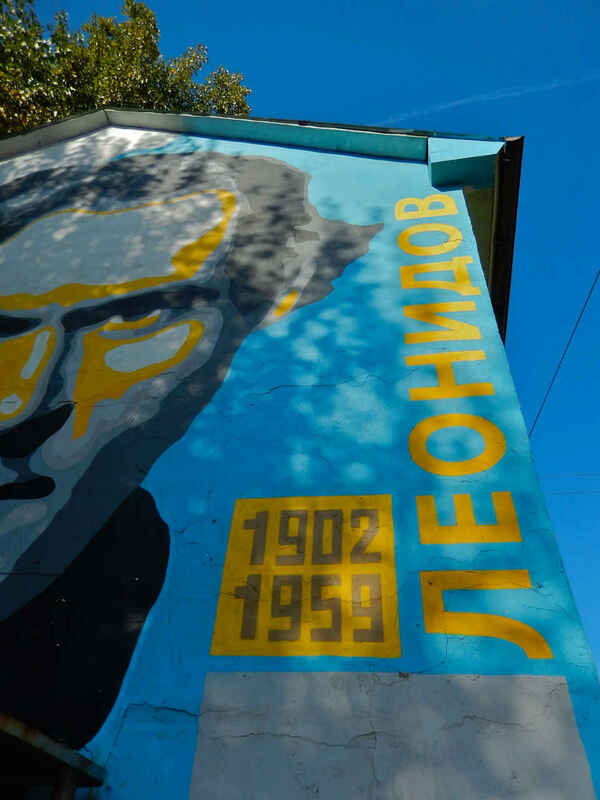 One of Leonidov’s legendary, unrealized designs was called City of the Sun. Its central theme was, no more and no less, the happiness of people. Leonidov appears not to have known a great deal of happiness in his life, at least, not once the Communists began messing with his work. He was born in a village outside St. Petersburg. His father was a forest ranger. He came to study in Moscow in the mid-1920s and his first successful designs were for improved peasant huts. 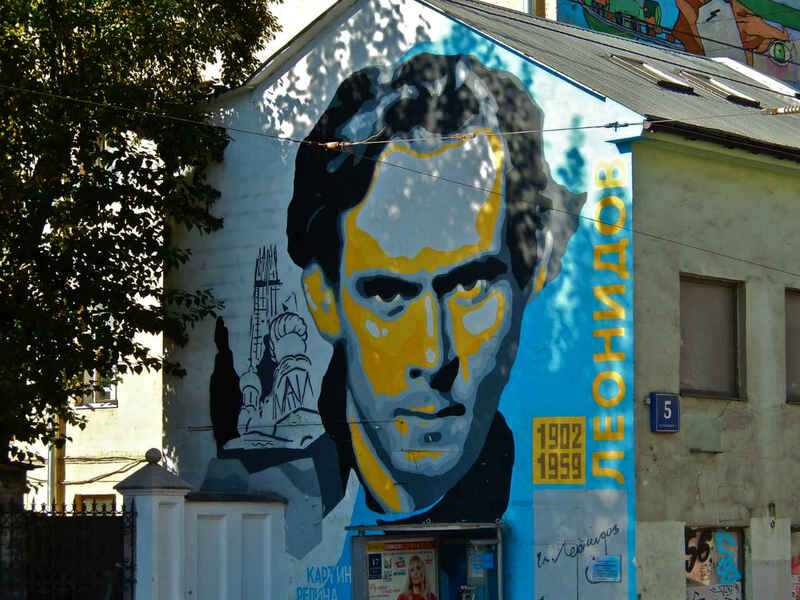 He also designed living quarters for workers in the city of Ivanovo, a building for Belorussian University in Minsk, and standardized workers clubs that could be erected most anywhere. Throughout the 1930s – after the attacks on him – he worked at various “odd” jobs in various brigades, often in the provinces. Professionally, however, and for someone who had begun with such promise, his career was virtually on hold. In 1943, during World War II, he received a concussion in battle and was demobilized from the army. Things got so bad that, after the war, he was occasionally relegated to curating museum exhibits. He continued to work on his City of the Sun, but to no avail. 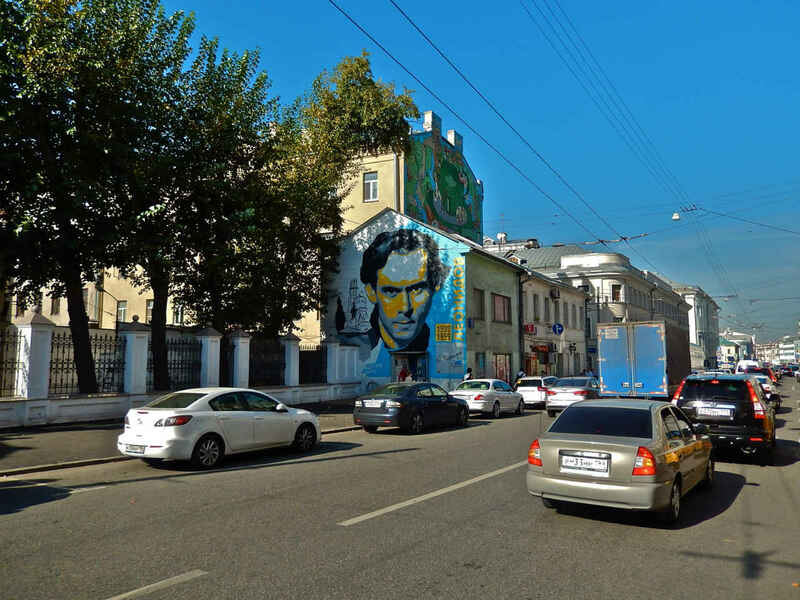 The mural located at 5 Sretenka Street in the northern center of Moscow, was unveiled in December 2014. 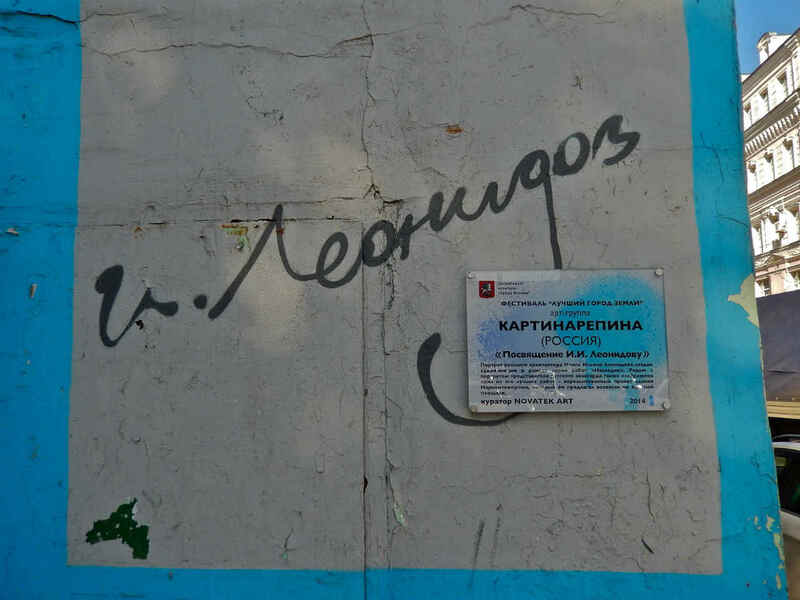 According to an apparently reliable Russian website, it was created by an artist who goes by the name of Jem and works for a group whose name is sometimes given as kARTina Repina (Repin’s PAINTing) or, as it is given on the mural wall, KARTINAREPINA. 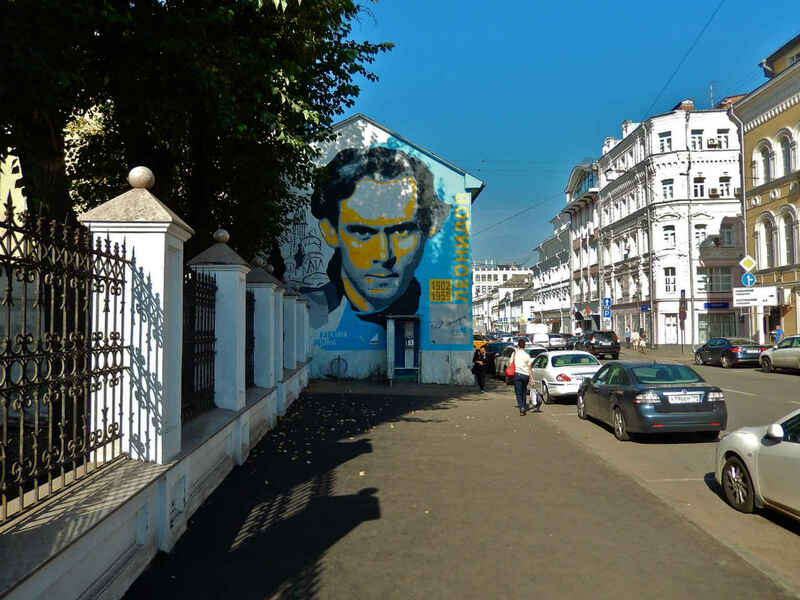 The Heritage and Best City on Earth campaigns were curated by Novatek Art. Ivan’s work is probably some of the most influential to me as a designer. Thanks for this! Love that, Michael! Thank you for sharing!